The museum had set up two beautiful 360 degree still lifes for us to draw. I briefly thought of sketching the objects but instead decided to sketch the sketchers. My subjects were so intent on their own work they never knew they were models! 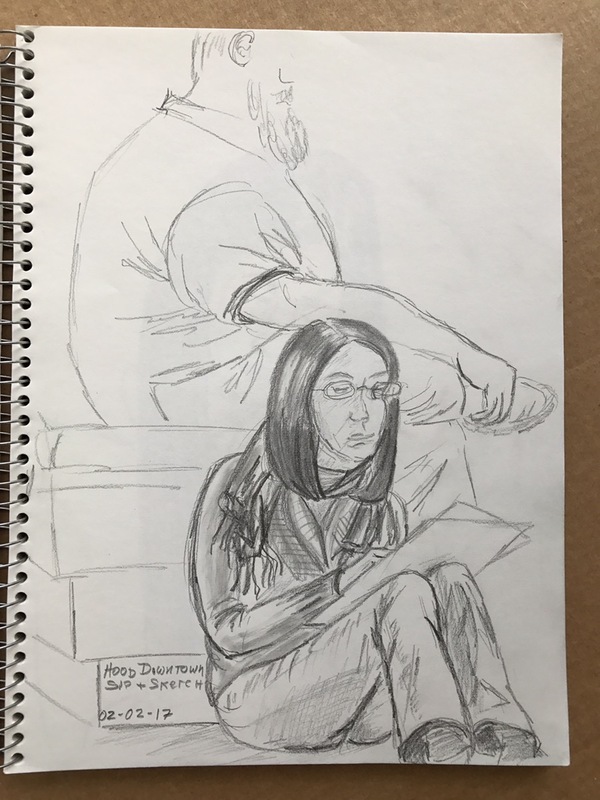 The Hood, like many other museums, has a policy of allowing only pencils for drawing in its exhibition space. 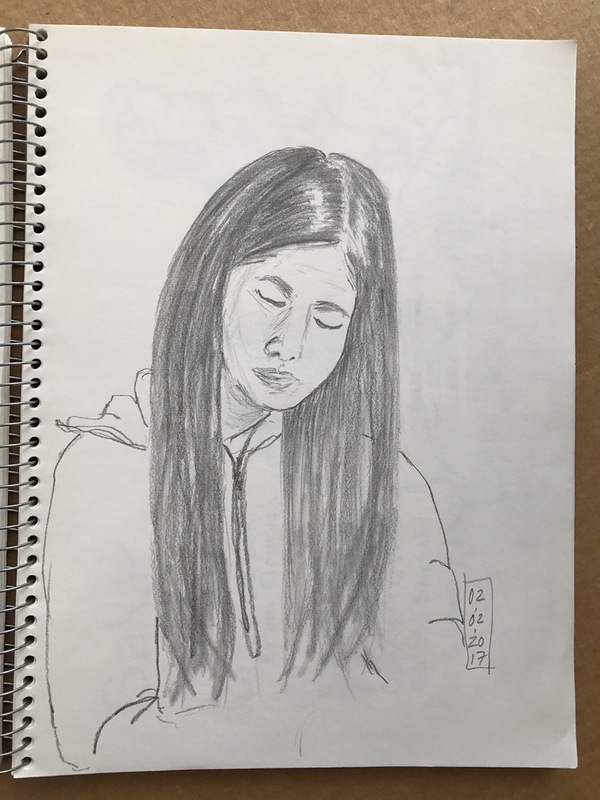 That’s okay by me… the humble pencil is a powerful tool! 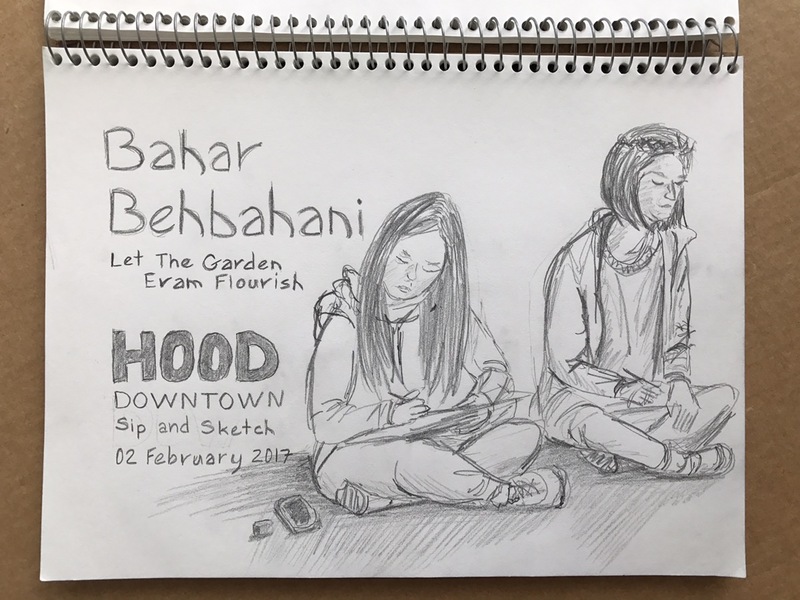 If you’re in the area be sure to see the current exhibit, Bahar Behbahani’s Let the Garden Eram Flourish. It will be on view through March 12, 2017. 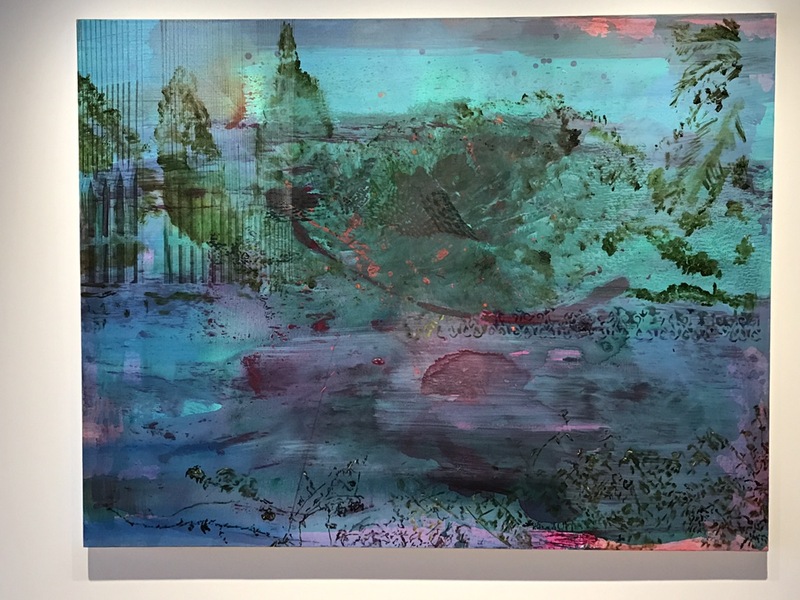 Here’s just one of Ms. Behbahani’s stunning works… Adorned With Pillars (mixed media on canvas).